Visiting the Washington DC on a short holiday can be daunting. There are so many things to do during the day in the US capital, you could easily run out of time to see everything. However, there are some attractions in Washington best left for visits at night. 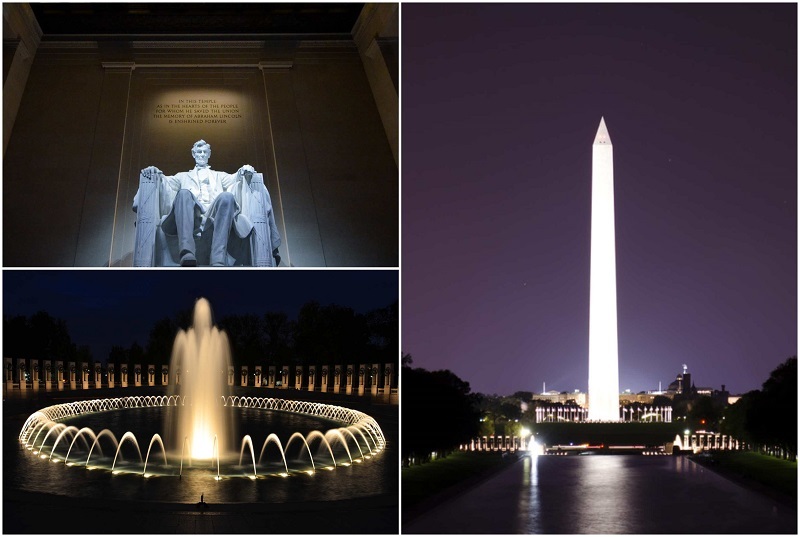 The monuments are pretty cool during the day, but they really shine at night, and there are so many! The Lincoln and the Washington Memorials are the most famous, and definitely worth a visit. Seeing them on television or in pictures doesn’t compare to seeing them in person. Others, like Iwo Jima and the FDR memorials, seem to come to life at night, lit up, and with the backdrop of the dark sky, they are breathtaking. See the flag wave against the darkness and even just for a moment, let yourself see it as the shining beacon of hope it is meant to be. Walk around and see a few by yourself, or book a tour and get the most out of your time. There are a number of ways to see Washington at night and it won’t be hard to find a convenient mode of transport to suit everyone. You can either jump on a bus, stroll in a trolley, ride a bike or zig zag through the city on a segway. Take your time seeing major attractions and see them light up at night. Washington DC Double Decker Bus Guided Night TourA safe and secure way to travel through the city at night, this 3-hour, fully narrated tour will take you to see The FDR Memorial, Lincoln Memorial, Vietnam Veteran, Iwo Jima Memorial, The White House, and more. 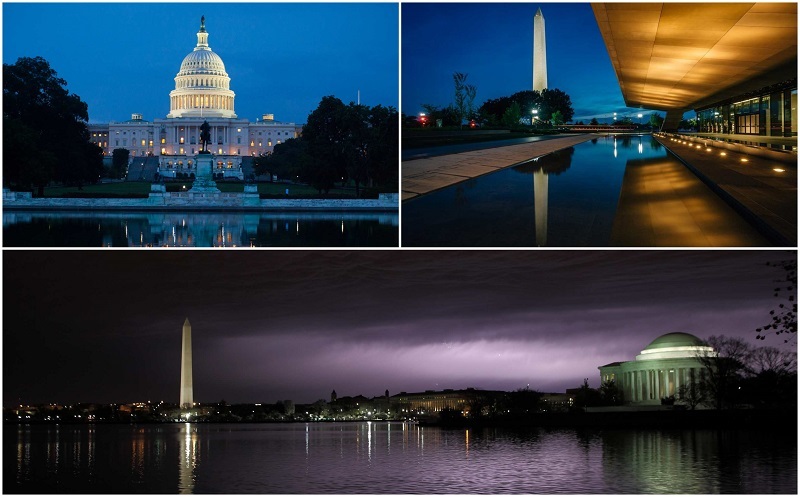 Washington DC Monuments by Moonlight Night Tour by TrolleyTake this trolley tour and see 100 of Washington DC’s memorials. You’ll make stops at some of the most famous memorials and hear some chilling ghost stories along the way. Small-Group Sunset Electric Bike Tour in Washington DCTry out these e-bikes with your friends or family and see some of the nations most famous memorials. Washington DC Segway Night TourThe ever-popular segway tours are even better at night. You’ll see more than just monuments on this tour, all without taking a step. Concerts, shows and sporting events are a great way to spend the night in Washington. 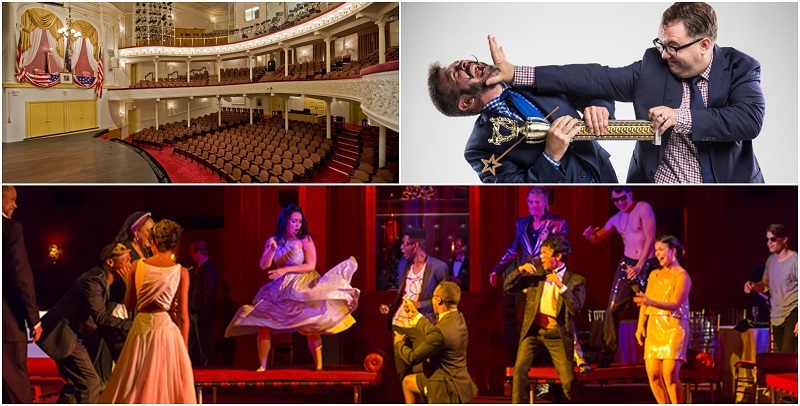 Check out what shows are coming to the Kennedy Center, the Hamilton, or the Capital One Center. See the Kennedy Center Calendar and find out what shows are coming to the Kennedy Center before you get to DC! They do hip-hop shows, ballet, opera, and more! The Hamilton is designed for a unique experience between musicians and the audience. Make sure you get tickets in advance to enjoy dinner and a show. 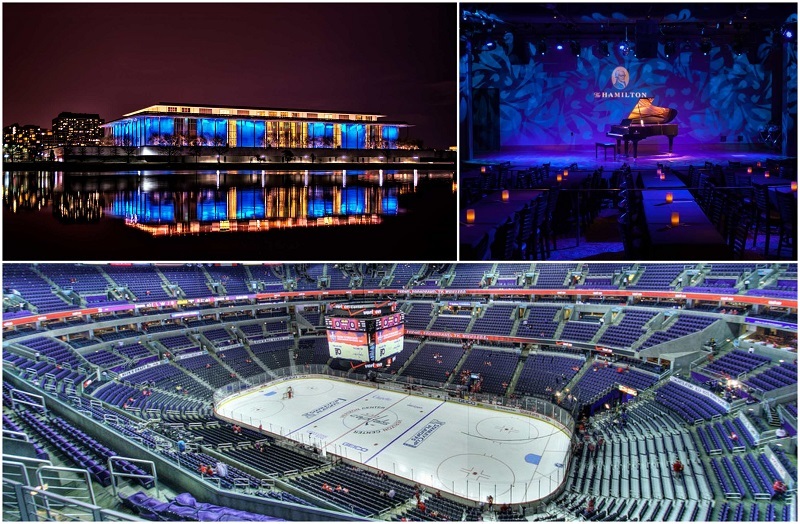 Capital One Arena, home to the Washington Capitals, hosts a wide variety of events and concerts every year. This is a great way to get some modern entertainment in a city so rich in history. Not that history is a bad thing, it’s just not everyone’s thing. 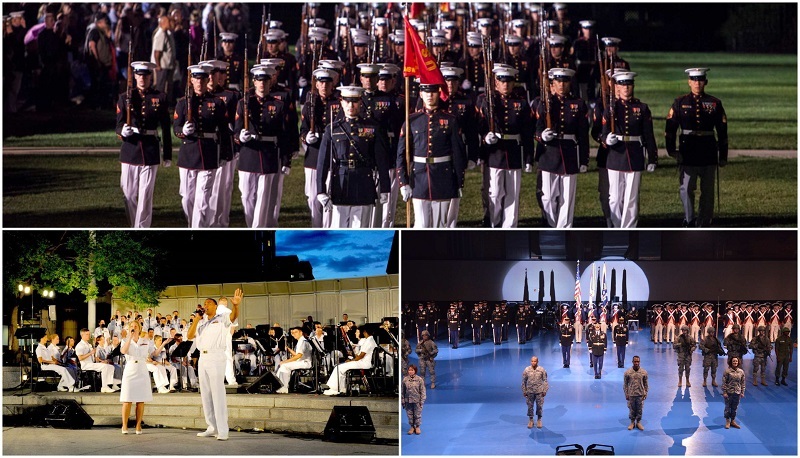 The military offers several exciting events in Washington DC at night. You don’t have to support war to appreciate the troops and the shows they put on for the public. 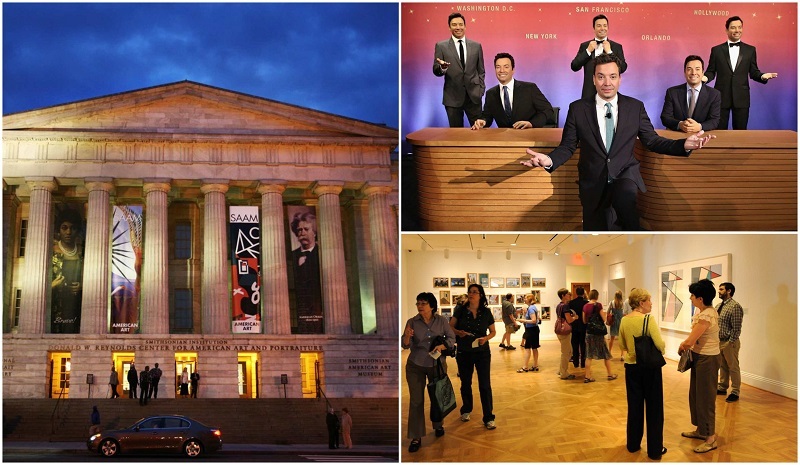 Not limited to history or art, the museums in Washington DC have a lot to offer. Even though some museums close early in the evening, a lot of them stay open, hosting concerts or galleries at night. The Phillips, an art museum, is almost a century old. This doesn’t mean it’s stuffy. Check out Phillips after 5 for some unforgettable entertainment. The National Gallery of Art has hosted a concert series every year for the last 77 years. It’s definitely worth visiting if there are shows on your visit. The National Gallery of Art Sculpture Garden features Jazz in the Garden every Friday night from 5-8:30pm (weather permitting). Madame Tussauds normally closes at 6pm, but on Friday and Saturday, you can take photos with all the stars til the doors close at 8pm. 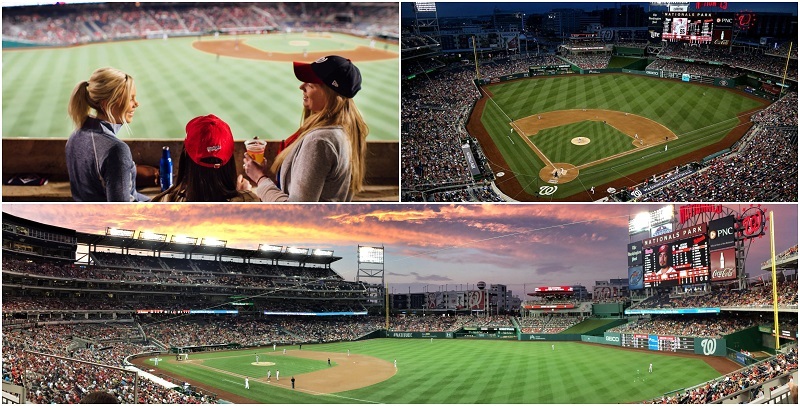 Baseball is America’s pastime and DC is America’s capital, why not enjoy a baseball game in DC at the Nationals Park? The Nationals may not be the best team in the league, but baseball games are a must experience for neutral visitors! Get involved in the cheers and songs they play at each game. 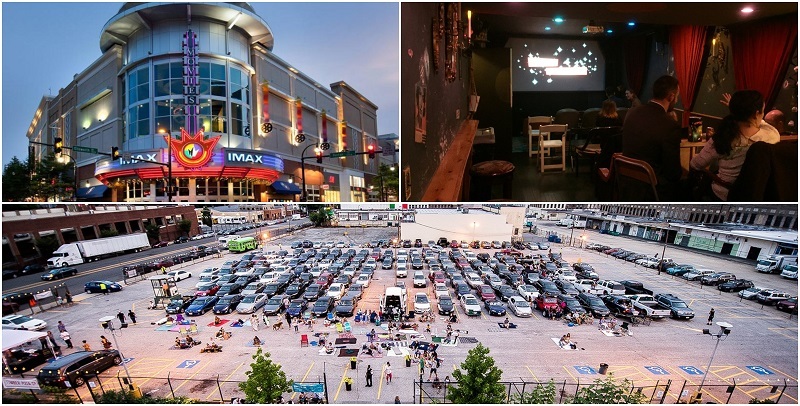 Washington DC has a few different theaters you can choose from, including a drive-in! Remember when deciding what to do at night that you’re on vacation and you could see the movie in your hometown or stream it online (if the theater is playing an older movie), you’re not going just for the movie, but to experience the theater too! Visit the Union Market in summer. Drive-in theaters are few and far between these days, but you can find one here if you plan your trip for sometime between August and November. If you don’t take a car, don’t worry, lawn seats are free! Some more modern theaters include the Suns Cinema and the Regal Majestic Stadium, which plays IMAX movies. The Ford Theater was reopened in 1968 to celebrate the love Lincoln had for theater. This theater hosts classics, like A Christmas Carol, and newer plays, like Into the Woods. The Shakespeare Theatre Company may not celebrate an American writer, but Shakespeare is beloved by all. See an excellent cast put on one of his many plays during a night in DC. The Magic Duel – Watch two magicians battle it out in a hilarious show, trying to win over the audience with their unique magic tricks. 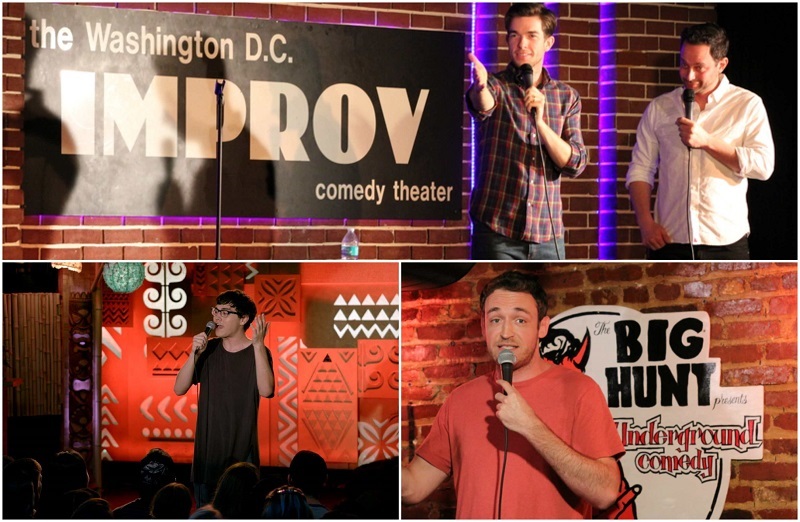 DC Improv offers a different kind of comedy show. Rather than a single comedian cracking jokes all night, enjoy surprising and unique, unplanned acts of pure comedic genius! Underground Comedy does over 50 shows a month, including 7 free shows every week. One of these is bound to hit your funny bone. Located in the heart of DC, Drafthouse Comedy is a black box styled arts theater, with a focus on the comedic arts. Once a bustling port town, Georgetown (DC’s oldest neighborhood) still has a lot to offer visitors. There are plenty of shops and restaurants to fill your nights, along with beautiful waterfront views. Some of the shops in Georgetown include Alex and Ani, Alice and Olivia, and Billy Reid. If you’re looking for something to spruce up your wardrobe, check them out! The restaurants are a mixture of casual and dressy with some in-between. One of the nicer places to eat is 1789, which is in an old Federal House, or La Chaumiere which is about as fancy as the name makes it sound. A more casual place to grab a bite is the Good Stuff Eatery or Farmers Fishers Bakers. There is fast food, but you’re on vacation, so try something new! Bring a jacket though, it might get chilly close to the water. potential. “Content will be the king” -this remarks has always been saying by people. The layout of your site is extremely important. Of course, it goes without saying that lying is not optional in Squidoo. new articles or blog posts. Everyone after that first submission is automatically disqualified. enjoy desirable of visiting your website and simply leave. desirable of visiting your website and simply leave.